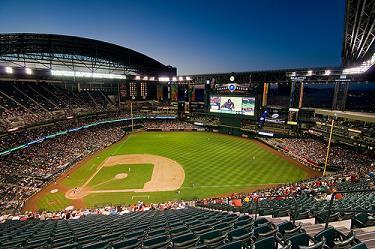 Chase Field, home of the Arizona Diamondbacks, is located in Phoenix, Arizona. The Diamondbacks played their first game there in 1998. This stadium has the distinction of being the first one in the USA using a retractable roof. It was also the first baseball stadium to use natural grass along with this type of roof. The push for funding for this project became quite emotionally-pitched. Many of the citizens were not happy that the government used public funds to finance the stadium – and one became violent. This ballpark was first called Bank One Ballpark after the bank of the same name from Chicago. When JPMorgan Chase & Co. merged with Bank One in 2005, the Diamondbacks changed that name to Chase Field. 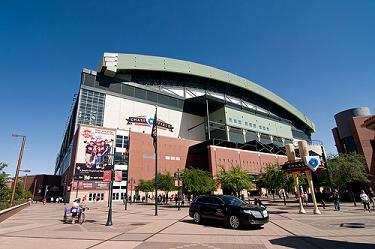 To cover the history of Chase Field, let's start with the plans to fund it. In 1994, the Board of Supervisors for Maricopa County approved a sales tax increase in the county to fund the new stadium. The hike in sales tax happened when the county budget had huge deficits and insufficient funds to provide current services. Since the government did not allow its citizens to vote on the tax increase, the citizens became enraged. One citizen, Larry Naman, was so upset that he shot the Maricopa County Supervisor in August 1997. He was convicted for this shooting in May of 1998. In 1995, the government estimated the budget for the stadium to be $279 million. However, the actual cost of the stadium turned out to be $364 million, primarily due to rising prices for steel and other materials. Without extra funds from the government, the owner of the Arizona Diamondbacks, Jerry Colangelo, had no choice but to cover the additional $85 million in construction costs, which would haunt him for years. 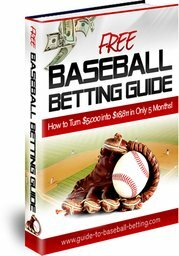 Major League Baseball did not allow the Diamondbacks and their fellow expansion franchise Tampa Bay Devil Rays to share in MLB revenues for the first five years of operation. Construction started in 1996, and the stadium was ready in time for the first regular season game in 1998. It was only the third MLB team (after Toronto and Montreal) to have a retractable roof and the first in the United States (Houston, Milwaukee and Seattle later built retractable roofs). It was also the first ballpark to feature natural grass in a retractable roof stadium. The Diamondbacks open or close the roof depending on the game-time temperature. If the temperature is too hot outside or if it is raining, they will close the roof so that the fans can enjoy the game in dry, air-conditioned comfort. When they make the decision to close the roof, they leave the roof open for as long as they can before game time in order to keep the grass alive. The design of the stadium also permits sunlight in even with the roof closed. Chase Stadium hosted four World Series games in 2001. The Arizona Diamondbacks won the World Series that year against the New York Yankees, denying the Yankees a fourth consecutive series championship. 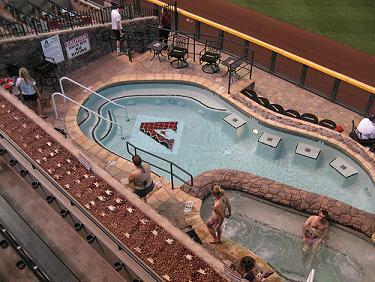 One unique feature at Chase Field is the swimming pool in the area of right-center field, sponsored by RideNow Powersports. Fans can rent the pool and suite for $3,500 a game, with the suite holding up to 35 guests. Another unusual feature is the strip of dirt between the pitcher's mound and home plate. The only other ballpark to do this is Detroit’s Comerica Park. The baseball parks used to have them in the olden days of baseball. 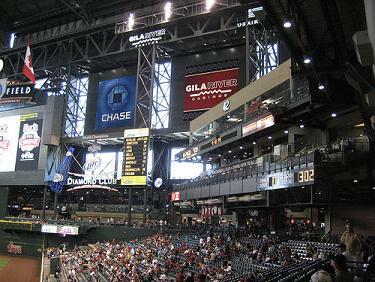 The Diamondbacks installed a new Daktronics HD scoreboard in center field prior to the 2008 season. It is the 2nd largest screen in the Major Leagues behind Kauffman Stadium in Kansas City. The field dimensions of Chase Field are 334 feet down the right field line, 330 feet down the left field line, and 407 feet to the center field fence.